For more than a quarter of a century, families have happily returned to Lanier Islands every year to share the most amazing displays of holiday and Christmas lights with one another. We hope you’ll come back again because this year’s Magical Nights of Lights at Lanier Islands will be the best yet. The first attempt at the Nights of Lights was … well … it was okay. They only had 40 displays when they first flipped the light switch for Nights of Lights on Saturday evening, November 20, 1993. Thankfully, it didn’t rain. Everyone wanted more lights and bigger displays, so that’s what they got! Today, the first pilgrims of Nights of Lights would be blown away by the SEVEN MILES of colorful, blinking, rocking, moving lights that tell stories we all know and love. The exact number of lights in the hundreds of displays has been estimated to be between a jillion and a gazillion — although the true number might be far higher. The two rules to having a good time before viewing the Magical Nights of Lights. Put gas in your car. Ask everyone to “powder their noses” before beginning the joyous trek through the lights. The treasured 12 Nights of Christmas has been outfitted with new brighter than ever LED lights! Recently refurbished, the 13-display attraction will make you want to sing about partridges in pear trees, turtle doves, French hens, and merry maids dancing (or were the gold rings dancing? ), as you slowly pass by until next time. See Santa’s Elves at Work, the North Pole Express, Jack & The Beanstalk, scenes from The Wizard of Oz, the Poinsettia Candelabra, the stunning Icicle Tunnel, and the Carousel too. 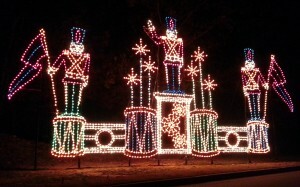 “As a native of Atlanta who grew up on Lake Lanier, it was a dream come true to be invited by the State of Georgia to conceive, build and implement a holiday light show right in my own backyard,” explained Greg Fulwood of Universal Concepts, whose company has designed the tour and assembled each display for Magical Nights of Lights at Lanier Islands since 1993. The 2018 season of Nights of Lights has begun! Tour this year’s spectacular light show most nights from 5 PM until 10 PM, seven days a week! You’ll have dozens of opportunities to make time for this family favorite before the lights go off for the final time on Sunday, January 6, 2019. Here’s some tremendous news from our friends at The Islands! Your 2018 annual pass to Lanier Islands will admit you to the miles of Magical Nights of Lights! That makes annual passes the best deal you can get anywhere. 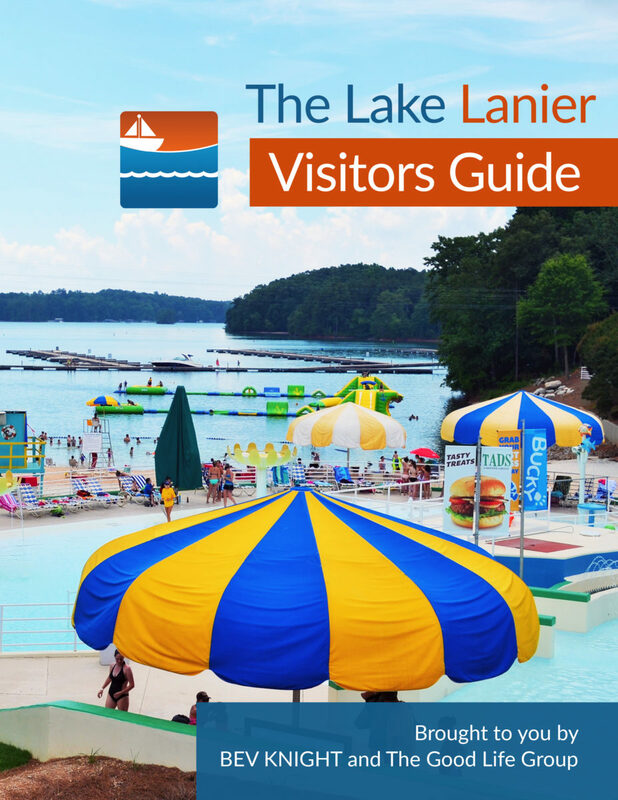 Return as often as you’d like for an entire year’s admission to Lanier Islands. Ask about the cost the next time you visit Lanier Islands. Please Note: Sorry, your annual pass doesn’t provide free food, lodging, boat rentals, passes to special events, drinks, ice skating, amusement rides or your name in lights. Annual passes will get you into the South’s most beautiful resort and a ride through the Magical Nights of Lights! Give your family a gift they’ll never forget! 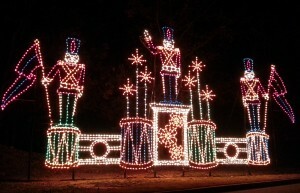 Treat them to a trip through the Magical Nights of Lights at Lanier Islands! Click Here for Lanier Islands Promotions and Special Offers! Hi Martha. Yes, I believe so. It’s worth calling the Island to check, but I’m 99% sure it’s handicap accessible. We enjoyed the festivities so much, visiting from Raleigh,NC niece took us. Enjoyed the scenes of lights on sand, bonfire, with smores and hot chocolate, rides for the younger ones, and lovely scenery. Highlights were bonfire on lake! Tubing down snow slides, and bob sleding down big slide! Snowball, snow area for kids! I thought it fantastic. Could use some carolers around, and more lights on the drive, but all in all excellent time for family! Will law enforcement be able to get in free this year? I wanted to share. Whike we were disappointed they did not offer free admission to military this year, and that the discount only applies to active duty and not veterans, we did thoroughly enjoy our trip tonight. My daughter loved the lights display, though it seemed the same as last year, only the ride went by quicker. The Santa, on the other hand, is the best we’ve ever met. He was so sweet to my baby girl (3 years old) and never broke character. He seemed very loving and like genuinely cared for us all. He definitely made my daughter feel special. How busy are the Lights on Christmas Eve? I’m not sure how busy the lights are on Christmas Eve. I’d suggest phoning Lanier Islands at 770-945-8787. I see active duty, military and first responders receive free wristbands to Winter Adventure, but unfortunately I don’t see anything on their discounts page about veterans (https://www.lanierislands.com/lanierworld/winter-promos). However, I’d suggest calling Lanier Islands at 770-945-8787. You’ll have to contact Lanier Islands. Their phone number is 770-945-8787.
when is the last day to go? Do they have golf carts for people to get around? I don’t drive. For the best answer to your question, contact Lanier Islands. So the cars drive with their headlights on? Cars follow one another closely enough that headlights aren’t needed. Two of my posts have been deleted because they were negative. You are free to post your negative complaints on the Lanier Islands website. 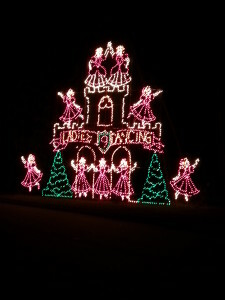 We love the Lake Lanier lights…been going since I was a child and now we bring our kids every year. I hope you consider moving Santa back to where he usually is. It was quite a trek with little kids in the cold. I don’t think we’ll keep coming back if you keep him where he is this year. Are you open Christmas night? Yes! The Magical Nights of Lights at Lanier Islands will be open until 11 PM nightly from December 14th through the 26th, and until 10 PM from December 27th through January 6, 2019. What is the rain cancellation policy? Are the lights open rain or shine? Thanks! The Magical Nights of Lights tour is open rain or shine.